If you do not have any account on any of these sites, you can simply create your new account by providing the basic information such as name, user id and by selecting the appropriate password as per the parameters of the application. There are some features of the Kroo sports application which make it unique from the other sports content based application. 1)Follow Favorite Team:Easy sign-up process. The user will get an email-wishing a warm welcome from the KROO sports.The user can start using the application as the interface is unique and easy to use. 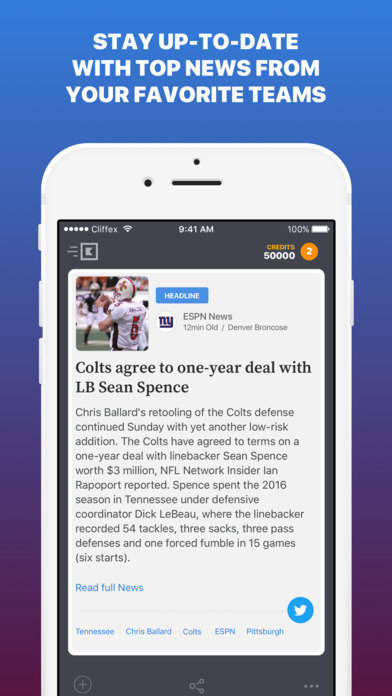 The users can follow their favorite teams from MLB, NFL, NBA, and NHL leagues.The best part of the application is that the user gets free 2500 credit for joining the Kroo.All the headlines and news of the favorite team are presented in a good structure format and the user can flip the block of headlines to watch the video of the content. 2) Organized Content:The content of the application is well presented and uniquely categorized under sub menus. On the top left side of the application, there is a menu option which gives access to the STORE, DAILY RAFFLE, ALERTS, MY HUB, MY TEAMS, FREE CREDITS, PERSONAL SETTINGS, HELP and LOGOUT option respectively. As earlier mentioned the content can be flipped to watch the video of that content. 3) Share the headlines: The user can also select more teams from the My team’s section to follow them and to keep up to date with all the latest news and headlines. 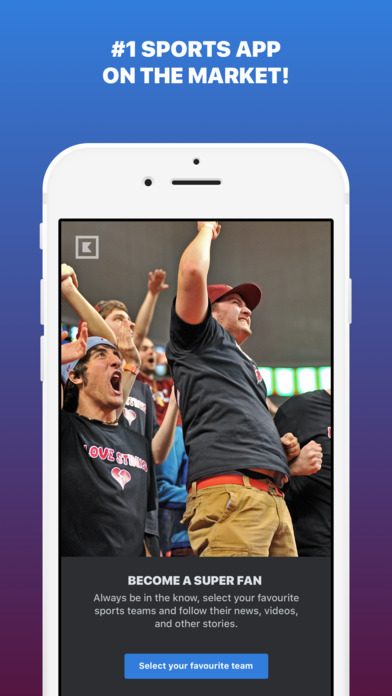 The user can like and share the content of their favorite team with their friends using the share button through the different social networking sites. 4) Kroo Credits:The user can even win more credits every day by using the Kroo Daily Raffle. A user can enroll up to 3 times to increase his chance of winning. The daily raffle can only be accessed from 12pm-10pm. One Lucky winner wins 10,000 credits every day. Apart from this, the user can even win credits using the referral program of Kroo. Refer it to friends and earn up to 2000 credits. The user can also play unique and random games to earn credits. 5) Book tickets:The user can use the Kroo credits to buy any match ticket which is available in the store option of the application. The user can refer more friends and can earn Kroo credits to book their favorite teams match selecting the appropriate date and venue of the match.In the My Hub section, a user can see the User level, Total Games Played, Total Games won, Total Games lost and Game timeout. 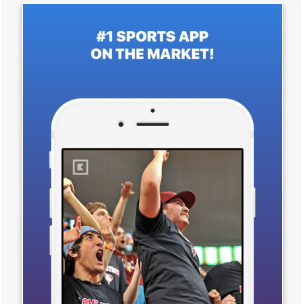 1) The interface of the application is user-friendly and which makes it easier to use.2) The Kroo Sports application has all the fresh content which makes it unique from the other sports based applications.3) The great integrity of the website and well-presented content. 4) Great access to content. The content of the website is categorized under sub menus which reduce the complexity of the accessing the content. 5) Flexible and Compatible with different IOS devices. 1) The Daily Raffle is available for the limited time of the day and a user can only enroll for three times. The feature could have been enhanced more effectively.2) The headlines of the content are available but sometimes the videos are not. If the user is facing any problem then he can simply use the Help option available in the application. All the headlines and news are also present in the Alert section of the application. If the user wishes to watch only videos, headlines or news, he can filter the content accordingly.A user can also see a number of credits available in his account. A user can edit or add few personal details such as a Profile picture or a sporty username under the Personal Settings section.